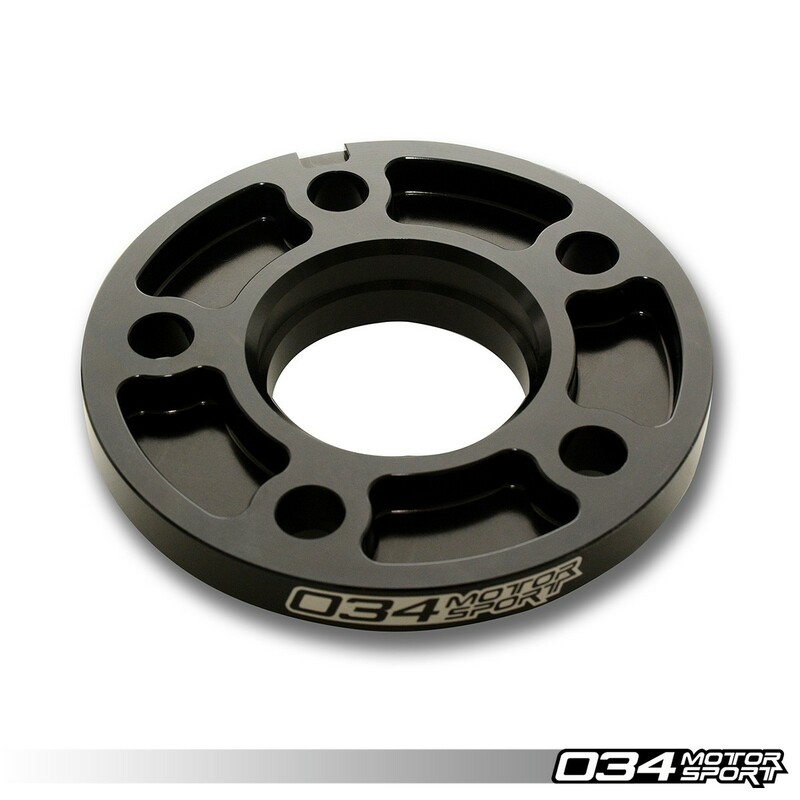 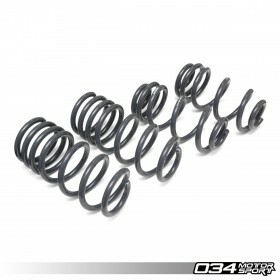 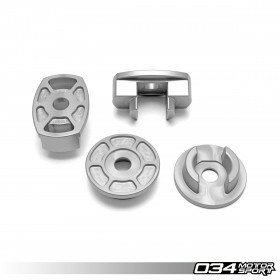 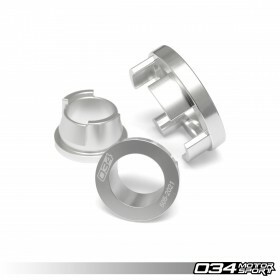 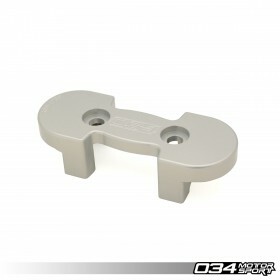 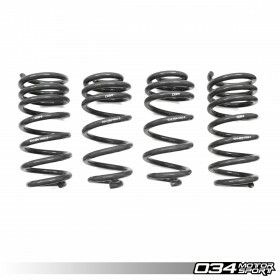 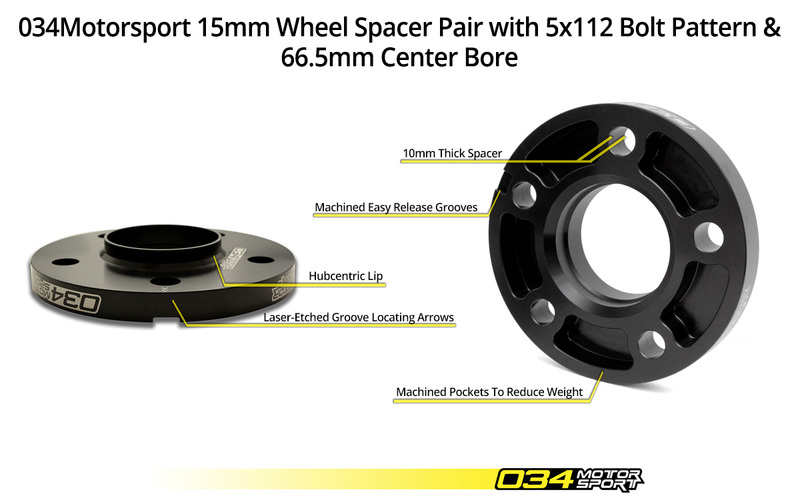 034Motorsport's 15mm Wheel Spacer Pair is designed to fit most Audi & Volkswagen vehicles with a 66.5mm center bore and 5x112mm wheel bolt patterns. 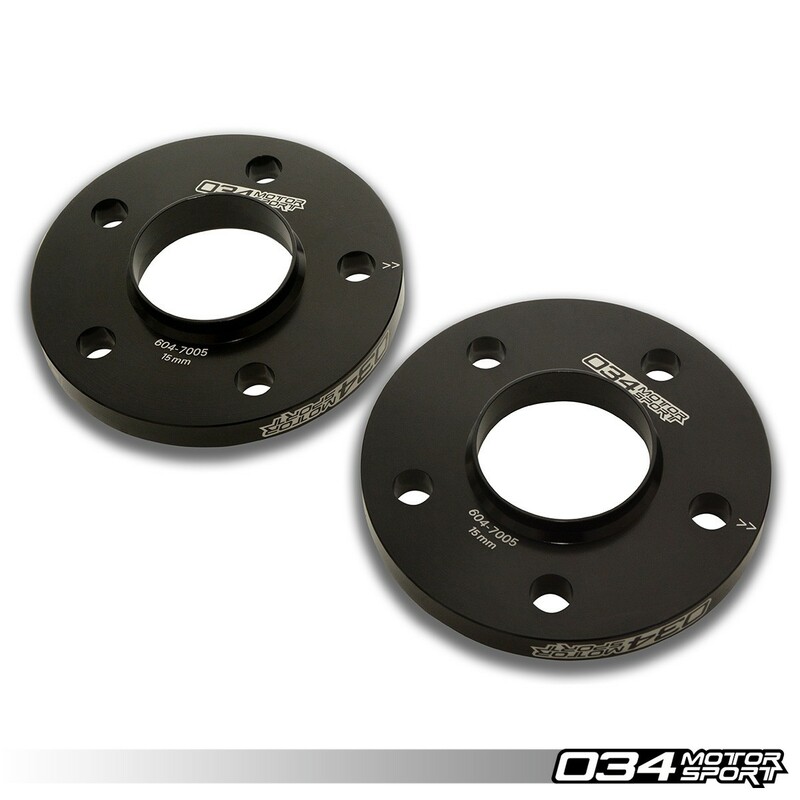 These wheel spacers are manufactured from 6061 billet aluminum with a black anodized finish and feature a few cool features you will appreciate if you have had experience with spacers before. 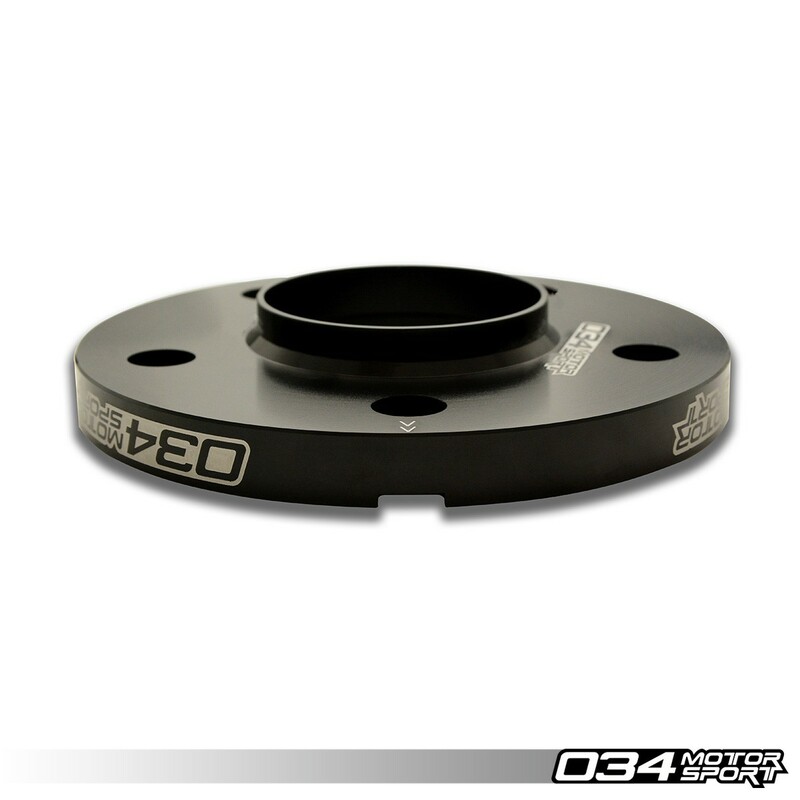 Wheel spacers increase track width to improve handling, allow for more brake clearance, and help achieve the more flush wheel/tire fitment you desire for your car.